Unsung has a packed line-up planned. Recently, TV One released new details about season 10 of the music TV series. The long-running docuseries explores the lives of influential musicians. Season 10 will profile Sisters With Voices, Fat Joe, Jon B., Lenny Williams, Case, Dave Hollister, After 7, and James Brown. 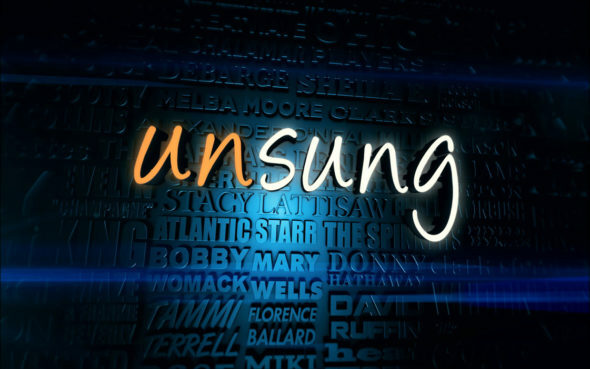 The new season of Unsung begins on January 4th at 8 p.m. ET/PT. SILVER SPRING, MD – DEC. 7, 2016 – This New Year, TV One’s longest-running and award-winning series, Unsung, will launch its tenth season with a hot new line-up of the music and stories behind an influential collection of talented Soul, Hip Hop and R&B artists beginning with those dynamic Sisters With Voices better known as SWV on Wednesday, Jan. 4 at 8 p.m. ET. Mixing celestial gospel harmonies with street swagger, SWV brought an edgy sound to female R&B groups that helped define the ’90s decade. Additionally, episodes profiling Fat Joe, Jon B., Lenny Williams, Case, Dave Hollister, After 7 and James Brown are slated to highlight each performer’s rise to stardom while providing a glimpse into the lesser-known challenges they endured behind the spotlight. Unsung is No. 1 on cable in its time slot among Blacks (P25-54, W25-54, P18-19 and W18-49) and a Top 10 program in primetime on cable among Black women (W25-54 and W18-49). Through first-hand accounts, interviews with family and friends, and archival footage, each episode of TV One’s signature series weaves a tale of the highs and lows of a life in the limelight. The poignant stories of Unsung offer insight into the trials and triumphs faced in both private and public forums. Kicking off the Unsung season in January is the talented female trio SWV on Jan. 4, followed by Fat Joe on Jan. 11, Jon B on Jan. 18 and Lenny Williams on Jan. 25. During the month of February Unsung continues with new episodes featuring a string of male crooners: Case on Feb. 1, Dave Hollister on Feb. 8, After 7 on Feb. 15 and James Brown on Feb. 22. TV One’s upcoming new episodes of Unsung are outlined below. Mixing celestial gospel harmonies with street swagger, SWV brought an edgy sound to female R&B groups that helped define the ’90s decade. But internal conflicts split the trio apart in just five short years, leaving wounds that linger to this day. Insights from family and friends are provided by Eddie George, Kelly Rowland, and Bell Biv Devoe. Born and raised in the Bronx, Fat Joe took a journey from street gangster to music mogul, and helped put Latino rappers on the map. But personal beefs, legal troubles and personal tragedies often imperiled his career. 50 Cent, Remy Ma, Swizz Beats, Cool & Dre, Scott Storch, and DJ Khaled help tell the tale. Jon B. broke barriers with his own kind of Blue Eyed Soul in the heyday of ’90s R&B. But clashes with his record label and turmoil in a rocky marriage would put him out of the spotlight for years. The episode includes commentary by Tracey Edmonds, Babyface, Nautica de la Cruz, Tammi Mac and Warryn Campbell. Lenny Williams went from promising Oakland preacher to national R&B star in the ’70s, making his mark on songs like ‘What is Hip” with Tower of Power, and scaling the charts on his own. But when the hits stopped coming, he struggled to find his way. Insights from family and friends are provided by MC Hammer, David E. Talbert, Lionel Bea, and Leunell. With hit singles “Happily Ever After” and “Missing You”; Case’s music set the soundtrack for a love that was meant to last. But the comforts of love he celebrated in song didn’t match the reality of his personal life. Ginuwine, Marcus Chapman, Eddie F., Nokio and Rodney Perry provide reflections. After making his recording debut with Blackstreet, Dave Hollister became a solo star with hits like “My Favorite Girl” and “One Woman Man”. But he was secretly living a tormented life, battling addictions to drugs and women that unsettled his career, and his life. The episode includes commentary by Tank, Teddy Riley, Chopmaster J, Money B, Tim Kelly, and Al B. Sure. A singing trio composed of brothers Kevon and Melvin Edmonds, along with friend Kevin Mitchell, and with the help of Kevin and Melvin’s brother and producer, Babyface, After 7 came out of nowhere to rule the charts with a smash debut album. But professional conflicts and personal disputes shortened their reign. Insights are provided by Babyface, Steven Russell Harts, Allen McNeil, and Steve Ivory. One of the greatest artists in the history of popular music, James Brown all but invented funk. During this special episode, band members, friends, and stars of R&B and Hip-Hop trace the career, and celebrate the legacy, of the man they call the Godfather. Reflections for family and friends are provided by Chadwick Boseman, Money B, Full Force, Frankie “Kash” Waddy, Mary Wilson, Kwame, Marcus Chapman, Steve Ivory and Rickey Vincent. What do you think? Have you seen Unsung? Will you watch the new season? Which episode are you looking forward to? More about: TV One TV shows: canceled or renewed?, Unsung, Unsung: canceled or renewed? I am a FAN!!! Bravo for coming up with a show that not only allows fans to see hear the hits, but also let us see the human side of some of our favorite groups/singers. I would love to see more of the 70s and 80s groups that we wonder what happened to like; GQ, LTD, Rufus, Chaka Khan, Peabo Bryson. I can hardly wait for the next season! !